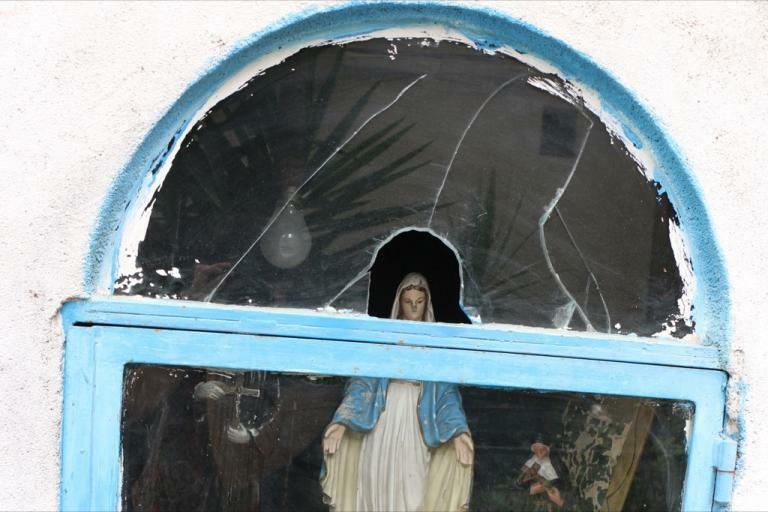 BEIRUT, Lebanon — The Virgin Mary watches over the Geitaoui neighborhood of East Beirut. She watches from street corners and the foyers of apartment buildings, peers down from above doorways and up from windows below street level. 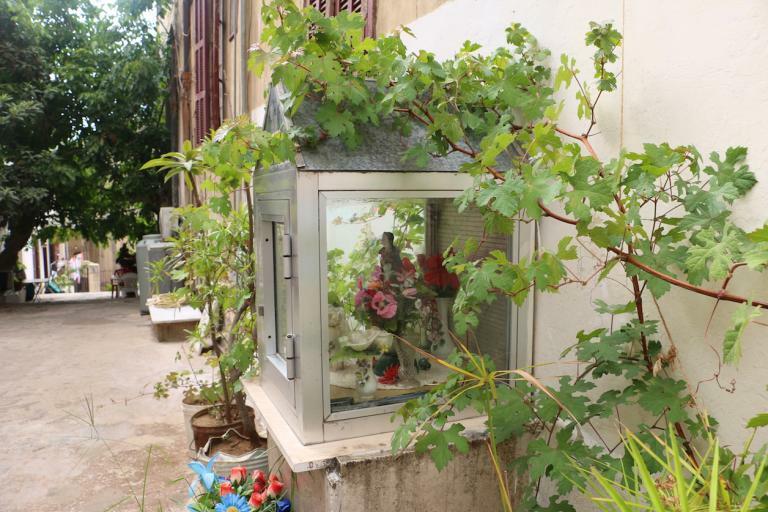 In this largely Christian part of the city, residents often set up small shrines to the Madonna and an assortment of saints — a common one is St. Marius, an early Roman martyr — who are seen to protect the neighborhood and those who live there. 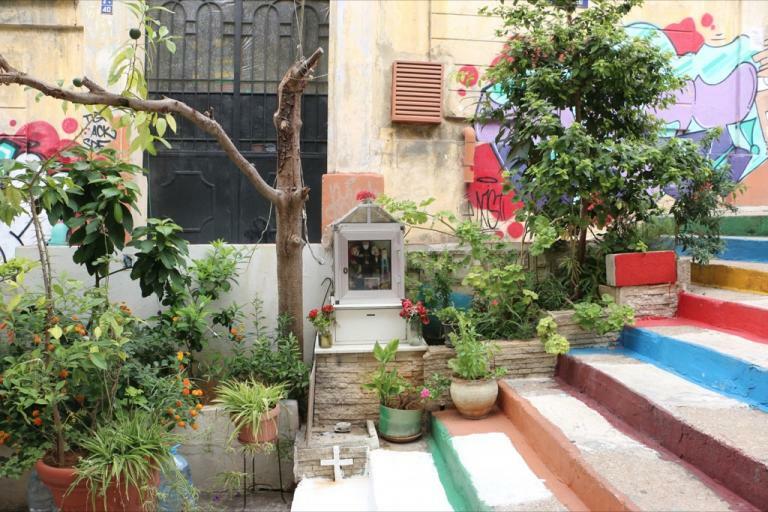 Lebanon is home to people of many faiths. There are at lease eight sects of Christianity alone. The largest is the Maronites, a Lebanese denomination tied to the Roman Catholic Church, followed by the Eastern Orthodox and the Armenian Apostolic Church. Other groups include the Melkite Church, the Latin Rite Roman Catholic Church, the Coptic Church, the Assyrian Church and the Syriac Orthodox Church. Mainly Maronites and Catholics set up the shrines, but people of all denominations make the sign of the cross as they walk by. Followers often pray in front of them, and each evening, neighbors light candles at them. In the mountains you see them often: When drivers die on the winding roads, people will set up a shrine to honor them. 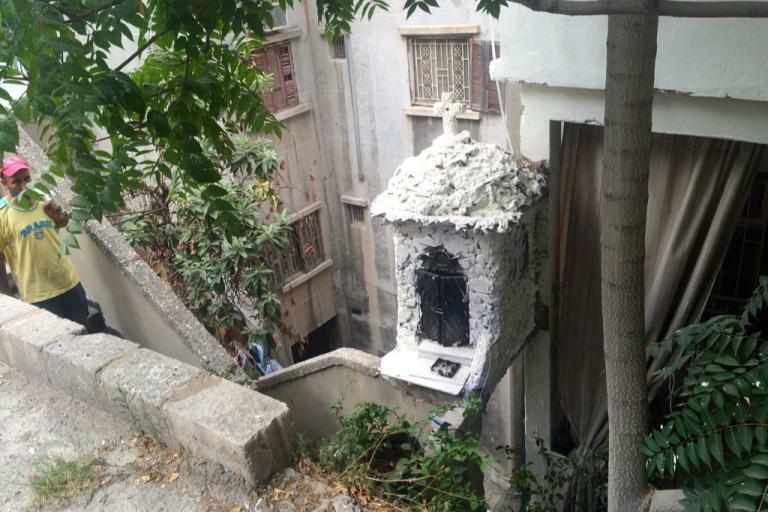 Achrafiyeh, the East Beirut district that includes Geitaoui, is historically Christian. 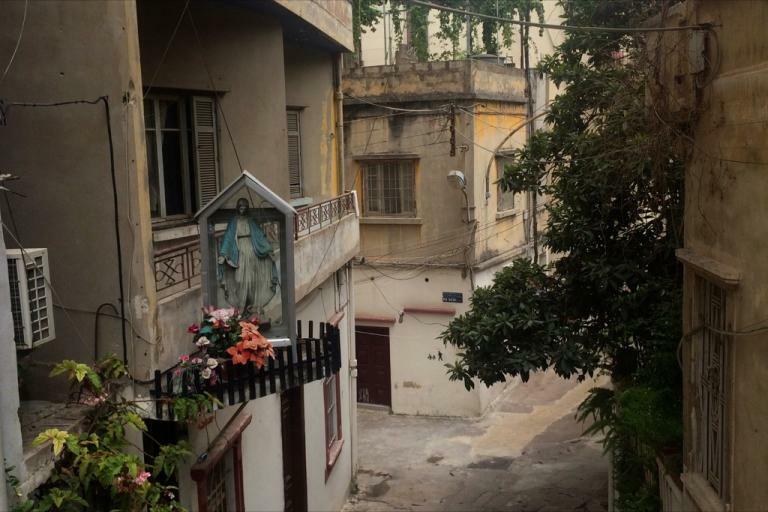 Situated on a hill (like much of the city), the houses and buildings here are close together, clustered around steep staircases. Sometimes there are photographs, usually of young people, nestled in beside the Madonna. 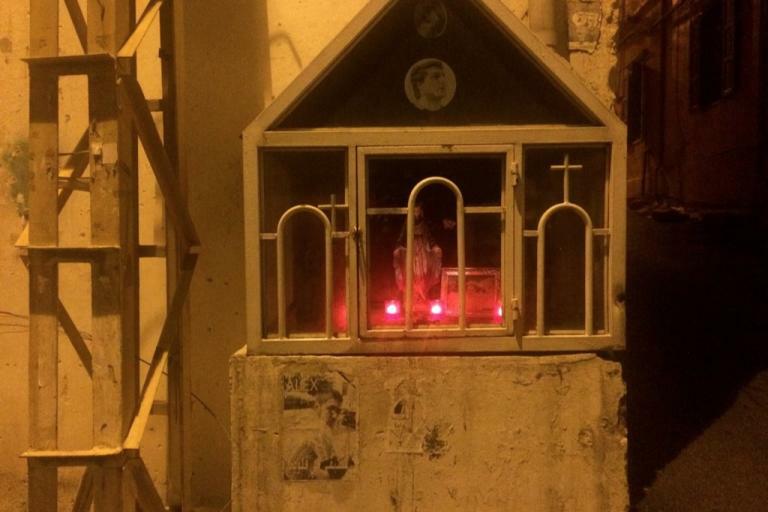 As usual in Lebanon: Sometimes there is a political dimension to the shrines, too. Some are decorated with stickers bearing the face of former president Bachir Gemayel. Gemayel was a leader of one of the Christian factions during the Lebanese Civil War and was elected president in 1982, though he was assassinated before he could take office. Lebanon remains a hospitable environment for Christians, compared to other countries in the region. Still, minorities like the Armenian community that once dominated this area are leaving at a steady pace. They like it here, but many of Abu Rafi’s friends and family are leaving. “There are lots of foreigners now,” he adds. But the shrines are still here, too.